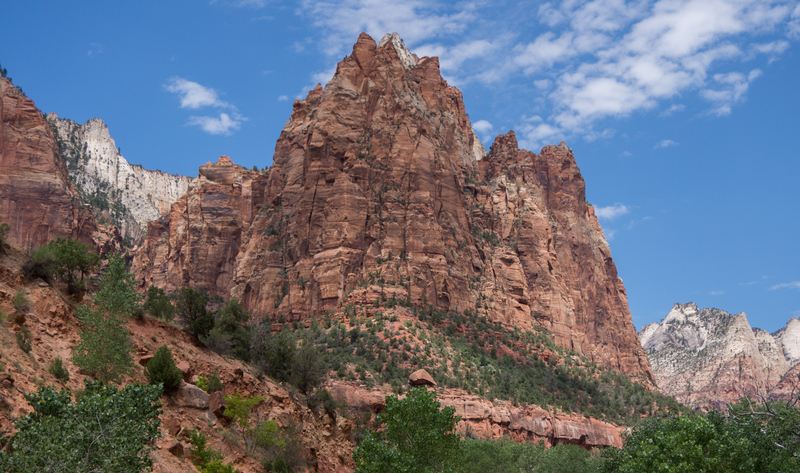 Zion National Park is the pinnacle of Southern Utah. Two hundred and twenty nine square miles of canyons, arches, mesas, slots, and formations, unlike anything else in the world. Resting on the point where the Mojave, Great Basin, and Colorado Plateau slam together, Zion is the twisted byproduct of an all out tectonic war. Albeit a gradual one. The elements have carved through the Navajo Sandstone with a humbling force, and left in their wake one of the most majestic landscapes in the world. Over four hundred unique species of animal, countless plants and insects found only in the canyon, all the result of one hundred and fifty million years of sedimentation. 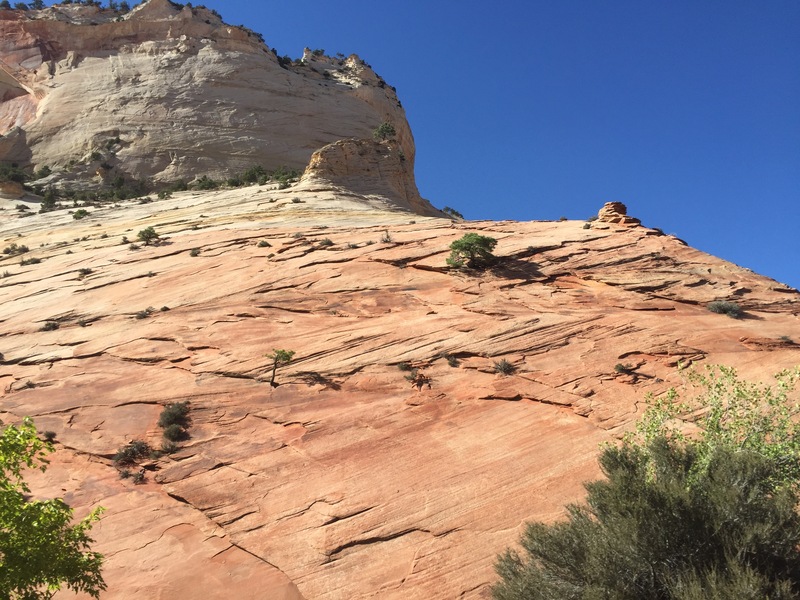 Like almost everything in Southern Utah, Zion is part of the Grand Staircase. Not the National Monument, but the geological formation, The Colorado Plateau. The Colorado Plateau is a one hundred and thirty thousand square mile blob, centered roughly on the four corners. During the Paleozoic era the plateau was inconsistently either a sea, or a dry sea. Every time the water retreated it left more and more sediment behind, and over the next three hundred million years, that sediment got compacted into miles and miles of sandstone. Skip waaaay ahead to the Cenozoic era (that’s the current one), about 20 million years ago. The entire area undergoes uplift at an angle which begins to tilt it unevenly as it leads north. The enormous steps of the Grand Staircase were thus formed, as the land rose more than ten thousand feet from where it was deposited. Rivers that used to be sitting on level ground, now found themselves raised to the peaks of mountains, and cut viciously to freedom down through the fractured sandstone. The rivers got stronger and gorges formed, floods occurred and massive landslides began to shape the canyon floors. Finally things began to settle down, and as the dust cleared the great canyons and peaks of the Colorado Plateau were revealed. Zion is the best of these. It’s something priceless buried in a pile of gold. 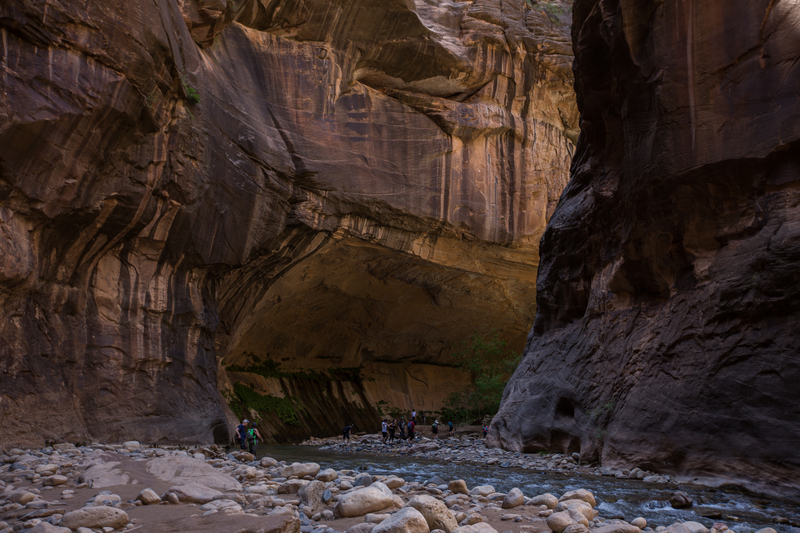 However there are a few things to know about Zion before you start trying to book a campsite. First off is that you’ll need more than a day to see it. Probably three or four. While it’s not very big, the hikes it offers are all very long, and all of them are worth doing. The backcountry is also a possibility for more experienced hikers, though if you wish to explore or camp there you’ll need a permit, which must be reserved months ahead of time. We were lucky enough to get one, but they fill fast so stay on it. The second thing to know is that it’s hot. Like really hot. It reached over one hundred everyday we were there, and stayed that way well into the night. You’ll see signs everywhere warning of the peril of dehydration, they’re not kidding. Take tons of water if you plan to hike for a good portion of the day, this goes for anywhere in the high desert, but Zion’s hikes can also be incredibly steep, making them even more difficult. Water stations can be found at multiple places throughout the park, namely the visitor center and lodge. The third and final thing you should be warned about, is how little mobility you’ll have. Once you get to a trailhead you’re all well and good, but most of the park is off limits to cars, mainly because you can’t build a road up quarter mile vertical inclines. There’s a bus that takes you through the canyon, but parking is pretty terrible. The wait to get on however, is never much worse than fifteen minutes. The northern backcountry can be accessed by some dirt roads, but be very aware of the weather conditions before you attempt traveling on them, any water and they turn into quicksand. Finally, you’re now armed and ready to tackle Zion. You’ve got a walking stick, a couple liters of water, sun block, and a hunger for some sandstone. But wait, what do you see first? Well, that depends on how much time you have. This is based off the assumption that you have at least two days, because the narrows need a day of their own. If you do only have one day, hike the narrows, but I’ll get to that in a minute. So, assuming you have two days, plan to enter the park from the south east. You’ll drive through some of Zion’s most magnificent formations as you watch the third step, the White cliffs, disappear as the land gives way to the second, the Vermillion cliffs. Swirling formations that look like a giant’s zen rock garden adorn the sandstone facades as you blaze down the winding road into the canyon. Every now and then you’ll pass within feet of a wall or formation, it’s crimson slated surface cracked and crumbling, as though struck with a gargantuan hammer. The road twists and switches as you descend deeper into Zion canyon, a fifteen mile long stretch, garnered by the Patriarchs, the East Temple, and the White Throne. After driving through the south entrance, you’ll come to a fork where street vehicles must turn off and head to the visitor center, whereas busses continue into the canyon. Park at the visitor center or the agricultural center, either works depending on how packed it is. From there, head to the visitor center, where you can catch one of the busses deeper into the canyon. There are nine stops, and a full trip one way takes about forty five minutes, so plan accordingly. The first four stops go past the East Temple, The Patriarchs, and Angels Landing. Seeing everything here can take up to five or six hours, depending on how fast you hike Angels Landing, but it’s well worth it. 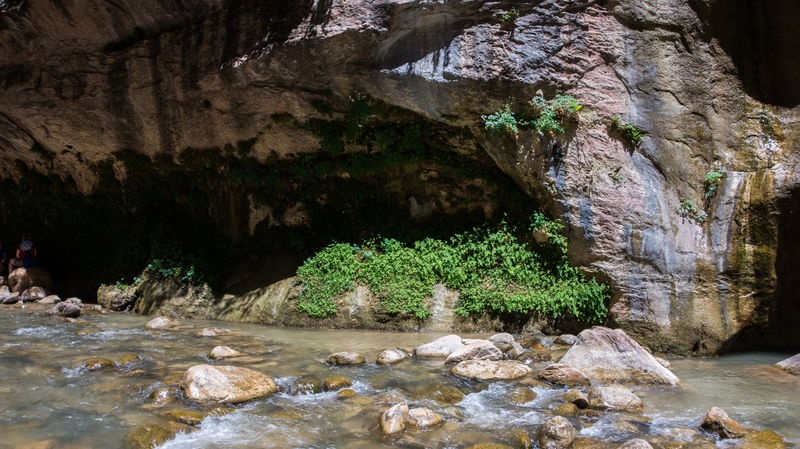 Moving on you’ll hit the emerald pools, which showcase some amazing waterfalls, weeping walls, and hanging gardens. There are three tiers and they get consistently more impressive as you go on, there’s also shade and pavement, making this hike slightly less taxing than some of the others. Really every stop throughout the canyon has something worth seeing, and with water stations along the way it’s an easily manageable day trip. Stop nine however, is why people come to Zion. The Narrows. 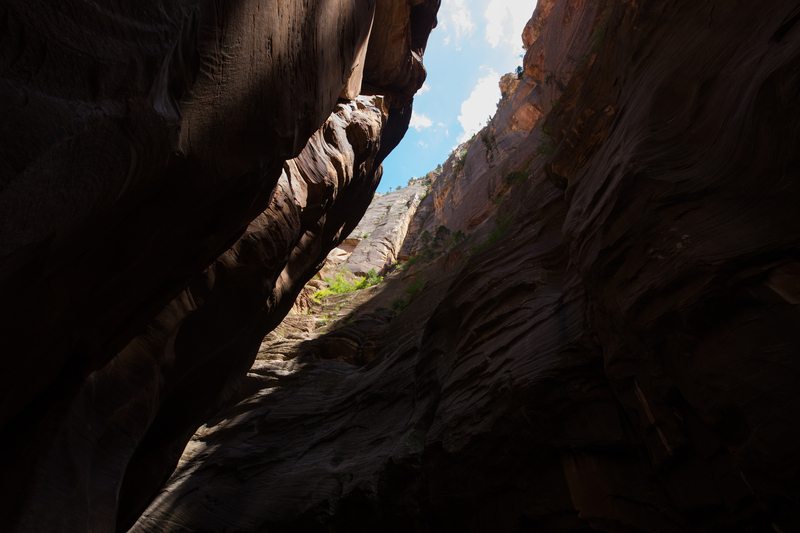 Over twenty miles of the most magnificent slot canyons in the world, winding through the path cut by the Virgin River as it sliced through Zion. 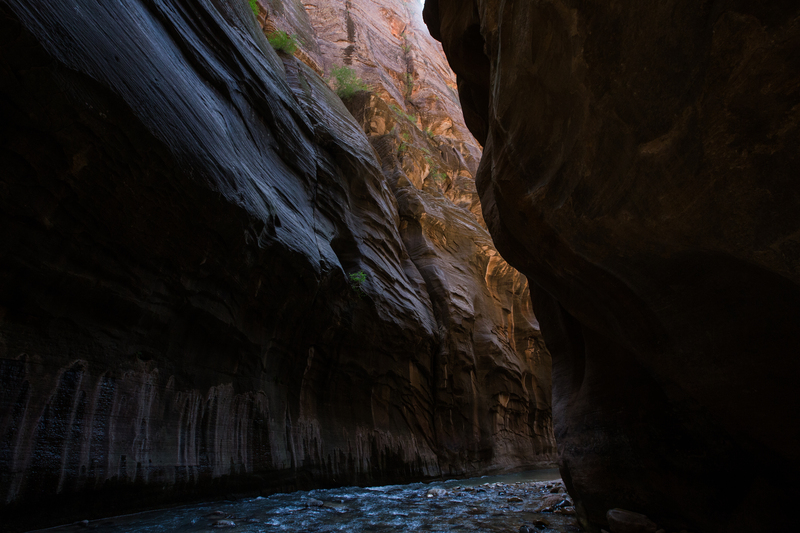 The Virgin River actually still flows through the Narrows, which is the primary reason this will be one of the most unforgettable hikes of your life. To get there get off the bus at stop nine, then hike about a mile down the trail until it just sort of… stops, and turns into a river. 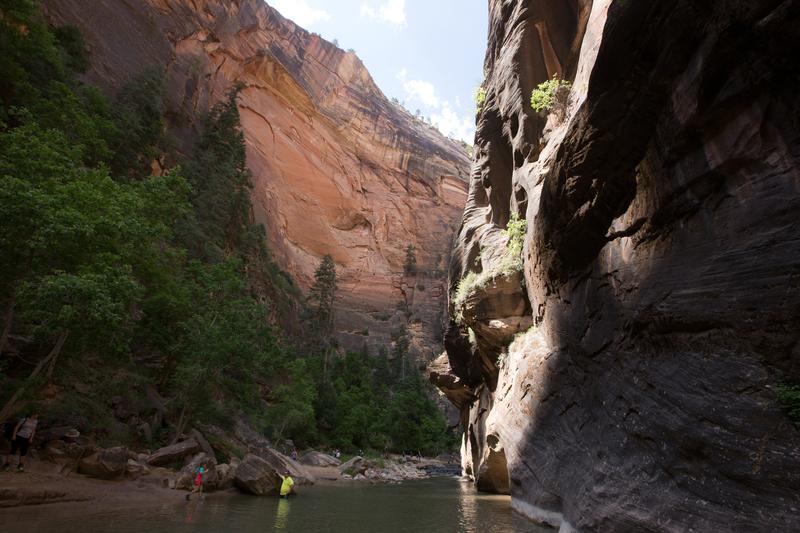 If you decide to hike the Narrows, check out the Zion Outfitter which is just outside the visitor center area. They rent canyoneering shoes, neoprene socks, and hiking sticks to anyone wishing to hike the river, and I highly recommend you get them. A hiking stick is absolutely crucial for this hike, if you have your own bring it, if not, rent one. The canyoneering shoes and socks aren’t necessary, but are really nice to have if you don’t want to water log and potentially destroy your street shoes. So, once you’re geared up head to stop nine, hike a mile, ok, you’ve hit the river, what now? Brace yourself, because you’re about to get very wet. The trail ends where the river begins, and so you step into the ankle deep water, gazing at the canyon walls closing in all around you. The rocks are slippery and unstable, your attention is quickly diverted back to your feet as you try not to eat it in front of the couple hundred people enjoying the water at the mouth of the canyon. You make the first crossing and suddenly realize you’ve taken part of the river with you, your feet cocooned in a nice little bubble of water. The sensation goes from just weird to weirdly refreshing as you walk out of the water and back into the sun, brushing past a hanging garden as you stumble towards a patch of rapids. After about thirty minutes you’re in the river waist deep, wading up through the current as you try to navigate the maze of boulders hidden below the water. At this point using the hiking stick is second nature, brushing it along the rocks to find a suitable anchor point for each step, whipping it around as you try to stabilize yourself against the furious white water created by a stray boulder. The walls start to change as you rise slowly through the Vermillion Cliffs. Great holes and divets carved out by the shifting rapids cover the walls, painting them with a variety of embossments and designs. 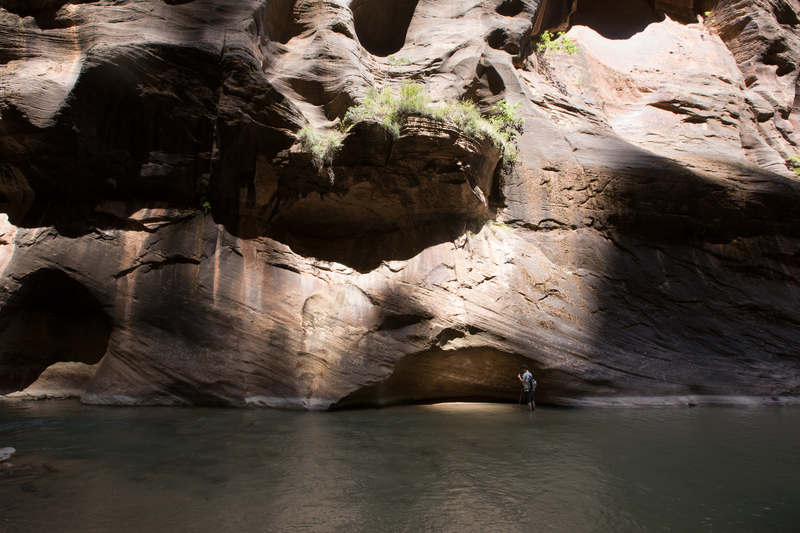 The eroded stone gives rise to sandbars which span the width of the canyon, walking off one you suddenly find yourself swimming as the ground drops out beneath you. A puff of sand floats up next to you, marking your departure. Fighting through the water becomes natural, and you start to power up the river as you travel deeper and deeper into the slot canyons. Every so often you’ll come to a bend in the river where the bank comes up out of the water, creating an oasis of trees and ferns on the rocky outcropping. Finally, after a few miles of hiking you’ll start to see the canyon narrow, the water rising as it’s forced up between the red sandstone walls. The landings and banks disappear, it’s just water and stone now, the canyon walls rising up the meet the sky thousands of feet above you. Here the canyon begins to split, as you wade through the water you’ll begin to see branches going off in either direction, thinning as they snake off into the distance. After a few more miles, you’ll reach a point where the walls are no more than five feet wide, and the water comes up to your neck when you aren’t swimming. You can hold your arms out from the middle of the river and touch sandstone wall on both sides. The air is colder and the sun is just a thing somewhere above you, the canyons draped in nearly perpetual shadow. There are enough rocks in your shoe to pave a sidewalk but you hardly even notice, the setting around so majestic, so impossible, that you can’t even wrap your head around it. Small children, no more than seven or eight float past you back down the river, shouting things like “ADVENTURE!” And “Is it a sin to steal this canyon water? Because there’s a lot in my backpack.” An old man and his granddaughter stumble through the rapids ahead of you, she asks him if he can keep going. Smiling, he catches his breath as he gazes down the river, visibly worn from the hike. “Ya, I can keep going.” He says as he takes off up the river once more, wading through the water with humbling determination. It’s a place you feel compelled to explore. You can’t leave the river, not yet. You have to see what’s around the bend, the allure of the canyon it too strong to resist, and besides, why would you want to? Zion is one of the most unforgettable places I’ve ever been. It’s tied Yosemenite for my favorite place on Earth, and the Narrows hike is maybe the coolest I’ve ever been on. Zion takes everything out of the equation, people of all ages, from all corners of the globe, come to explore, to find adventure together. I saw people as young as three and as old as eighty, heard languages from across the globe, saw entire families tackling the hikes, laden down with water and high spirits. But everywhere I looked, everyone wore the same expression. A mixture of happiness and amazement, a slack jawed smile plastered across a hundred thousand people. I don’t have the words to describe the magnificence of Zion, to paint a picture of its peaks and canyons that do it anything close to justice. All I can do is describe what it’s like to actually be there, to witness its larger than life landscape first hand, to feel the Virgin River flowing over your feet, to gaze out over the miles of canyon, to wander through the Court of the Patriarchs as the sun sets in the west. It’s an amazing place, an indescribable place, a place where adventure is as common as breathing. Just, go there.